Leaf Relief is a gutter cleaning and repair business serving clients in and around the Winston-Salem area. 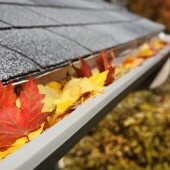 Leaf Relief offers gutter guards and pressure washing. With over 25 years of experience in the industry, we are proud to offer top-notch service at discounted rates. Our goal is to get your gutter to like-new condition quickly and with little inconvenience to you. Contact us today for more information!